The sellers are in the process of having this facility surveyed into 6 separate parcels and the Minimum Bid will be $25,000. per parcel. Five of the six parcels will be improved by commercial, heated, concrete floor buildings some with restrooms and loading docks. 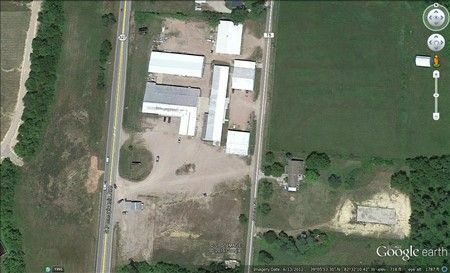 Excellent opportunity and a wide variety of uses for this fenced facility with frontage on the front and back perimiters (327/Pennsylvania Ave. & Honeysuckle Ln.). These parcels are further improved with City Water, Sewer, Natural Gas and one with 3 phase power and an income producing billboard! Real Estate Terms: $5,000. Down at time of sale cash/check per tract; Offered free & clear prior to closing on or before September 29, 2015; Balance and Possession at closing; Sold As-Is; No buyer’s contingencies exist; Taxes will be paid current and not pro-rated to the day of closing. Taxes & Legal: Taxes will be paid current and not pro-rated to the day of closing. Jackson County Treasurer reports Gross Annual Taxes: $8,988.54. Jackson Co. Parcel #: M240330000900, 4 access gates on Honey Suckle Ln. & 1 on Pennsylvania Ave. Lori K. Runyon & Rick Exline Co-Trustees for the Revocable Living Trust Agreement for Oscar Charles Exline; Richard W. Clagg, Atty.